Ubuntu Developer Tools Center (UDTC) 0.1 was released today and it includes support for Eclipse as a standalone IDE, Android ADT support (through Eclipse) and more. A couple of months ago, Canonical released Ubuntu Developer Tools Center (UDTC), a project to "enable quick and easy setup of common developers needs on Ubuntu". 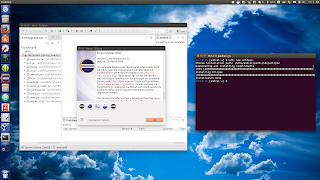 Using it, you can easily install Android Studio and the Android SDK in Ubuntu and, with the latest version, Eclipse and Android ADT (for Eclipse). In the release announcement, Didier Roche, Software Engineer at Canonical, mentioned that for now, Canonical is focusing on Android developers, but more will follow, like Go developers, web developers, Dart and more. don't raise any Exception for unexpected CLI args. The latest Ubuntu Developer Tools Center 0.1 is available in the Ubuntu 15.04 Vivid Vervet repositories. That's it. You can now use UDTC to install Android Studio, Eclipse and add Android adt support (through eclipse). Then, choose the installation path (or use the default path), accept the license ("a") and UDTC will do the rest, installing Android Studio and Android SDK. UDTC will even add Android Studio to the Unity Launcher. Update: the latest Android Studio doesn't ship the sdk with it anymore so for now you'll have to download it manually. Hopefully future UDTC versions will have a solution for this. 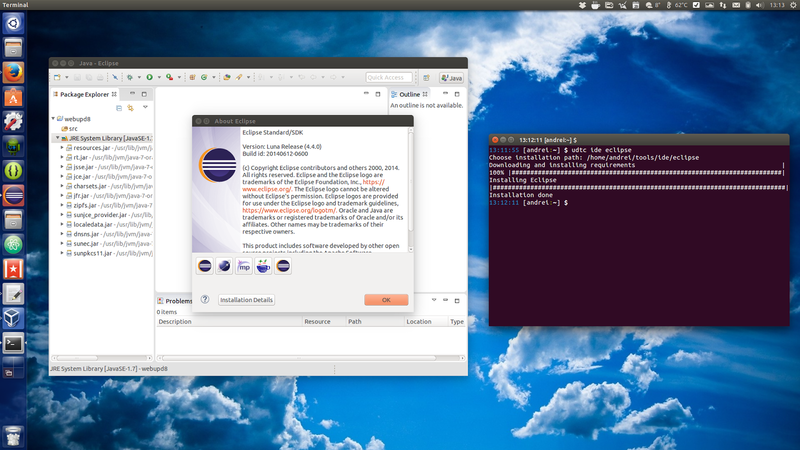 After installing it (just like with Android Studio), UDTC will add Eclipse to the Unity Launcher.